So last week I shared how I went kind of crazy and made Bite Sized Peanut Butter Cheesecake Cookie Cups…. Yes, I totally made those. Those little bites of heaven inspired me to create some more wonderful frankencookie creations. So today, today I made what I like to call Fudge Filled Peanut Butter Chocolate Chip Cookie Tarts. Yes I did. I totally made these. I made them, ate them, loved them… stained my T-shirt. All that good stuff. You will want to make these too once you understand exactly how delicious they are! Ok, so first. I made some delicious Peanut Butter Chocolate Chip Cookie dough. Kind of like those cheesecake cookie cups. Instead I used the cookie dough to fill regular sized muffin tins. 12 of them. YES 12. After I did that, I made what I like to refer to as a delicious Chocolate Filling. This Chocolate filling gets stiff, yet retains a level of creamyness I can only explain by saying: “Wow!” or by calling it FUDGE. Mmmm Fudge! I have never argued with fudge in my entire life. 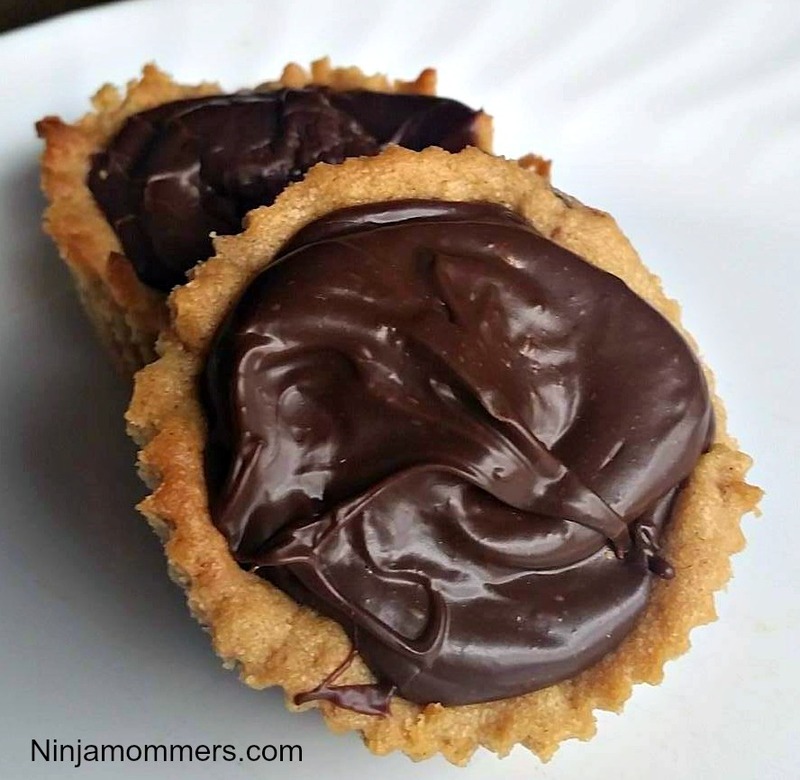 So I filled these little wonderful cookie tart shells with my Fudge and let them set. The neighbour ate some, I ate some, the kids ate some, my husband ate some and then something weird happened. People started coming over to see if I had anymore left because all they wanted to do was eat them. I had to build a moat and get a dragon to keep them from eating all my super yummy baking creations. Just kidding. You get the idea though, I am going to have to make these to serve at all my Holiday Parties. ALL OF THEM. Especially the New Years ones. So, if you would like to make them, I suggest you go forth and do so just maybe make sure your house has a draw bridge first. 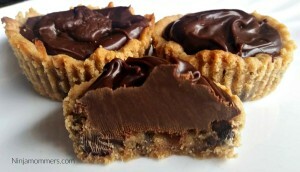 a super delicious, chewy peanut butter chocolate chip cookie "Tart shell" filled with a yummy, fudgey center. Press Cookie Dough into the bottom of a liner and 3/4 of the way up the sides of each cup. Bake at 325 for 10 mins. Melt together sweetened condensed milk, Vanilla and chocolate chips over Low heat stirring constantly. Remove from heat and quickly spoon mixture into baked cookie cups. Allow to cool and set for an hour before eating. Will you make a Fudge Filled Peanut Butter Chocolate Chop Cookie Tart?